Perhaps this week of flooding from Hurricane Harvey, more than any other, has tested the resilience of Houston. Nonetheless, it will offer an opportunity to redefine what the city is about, going forward. If there is ever a silver lining to natural and man-made disasters, it is that they give communities the opportunity to gather their thoughts, recognize their past accomplishments, and reflect on upcoming challenges. They force communities to think proactively about what they want for their future. 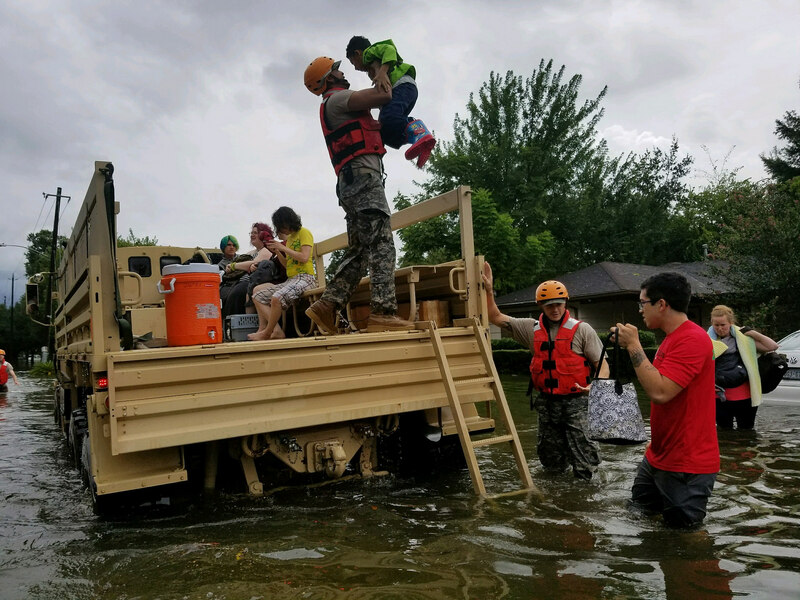 ‍‍Recovery Efforts in Houston. Photo Credit: Texas National Guard/Flickr. Many predict that it could be the costliest natural disaster ever to hit the United States. To match the unprecedented nature of this storm, neighbors are making unparalleled efforts to keep each other safe. The strong ties between Houstonians and their public spaces are poised to become steady ground for resilience and recovery. Each day of storm coverage brings powerful new images of locals carrying each other through flooded streets. Others show hopeful volunteers lining up their fishing boats to stand at the ready for stranded families. People are tapping into the community ties linking them to Houston, showing the true power of place in social resilience. Local business owners are opening their doors to their neighbors in need, and groups from other vulnerable coastal areas, like Louisiana’s Cajun Navy, are navigating floodwaters in aluminum skiffs. Neighbors from near and far are converging to help victims to dry ground, perhaps driven by first-hand knowledge of the power of community in recovering from disaster. Many have blamed poor urban planning for some of the worst impacts of Hurricane Harvey. Nonetheless, there are promising trends in Houston’s development—and increasing attention to the power of place. As a leading city for placemaking, Houston has been quietly transforming parks and public spaces for more than fifteen years. Places like Houston’s Market Square, the Houston Public Library, and Emancipation Park have led placemaking processes, creating community resilience in the process of re-energizing public spaces. 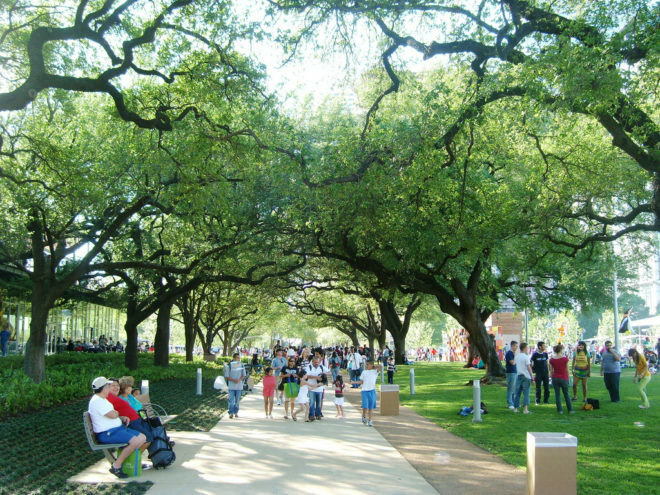 The city’s flagship outcome of placemaking, Discovery Green, which sits in front of the Convention Center that currently serves as a shelter for more than ten thousand people, is likely to play a significant role in providing recovery services, solace, and long-term support to Houston residents. The Baker-Ripley Community Center is yet another significant building block in Houston’s resilience. An important site for services like the local food bank, Planned Parenthood, performing arts centers, and the campus of the local community college, Baker-Ripley became a true meeting place for Houston residents. Community engagement from the beginning of the project ensured that gardens, playgrounds, and market spaces would put locals first. Now, even as the Baker-Ripley Community Center was forced to close during the storm, it is still serving as a forum for volunteers and emergency resources. Since locals had a hand in the center’s construction, it has remained a valuable community hub. With each successful placemaking exercise, Houston strengthens the fabric of its community, thread by thread. These pioneering places, and place management organizations that make them thrive, will play a central role in the resilience of the city, as gathering places for mourning and reconnecting, and as nexus points for the civic identity that will preserve Houston’s population, health, and economy. 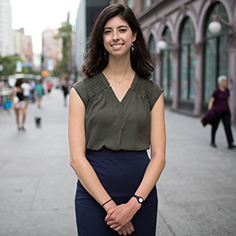 What's more, the rebuilding process offers an opportunity to bring people together through participatory placemaking, while making sure that new infrastructure investments are leveraged for holistic outcomes, including greater resilience. Our friends at Baker Ripley are accepting donations to support in the recovery, and our colleague Houston Councilor David W. Robinson also recommends donating to relief efforts here.